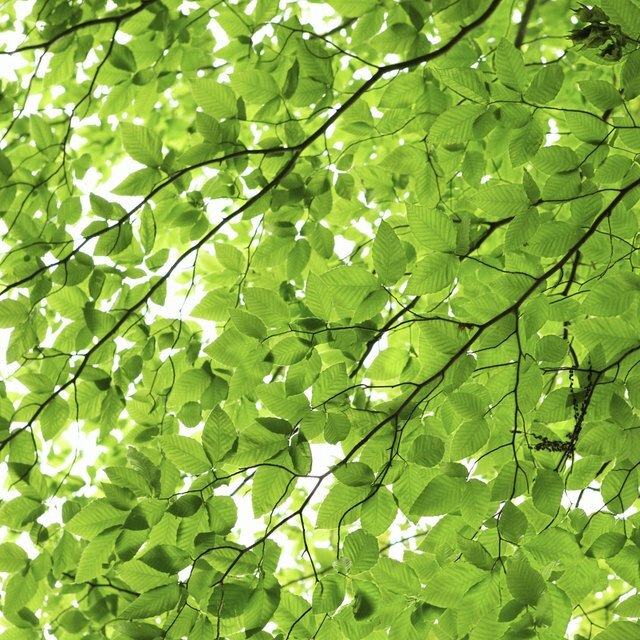 How Do Trees Turn Carbon Dioxide into Oxygen? Trees are commonly chopped down and processed for wood and paper, but the enduring value of trees comes from their ability to turn the sun's energy into oxygen, sustaining all human and other animal life on Earth. Advocates against deforestation warn that the consumption of trees for industrial purposes threatens the delicate balance necessary for this chemical process to take place. The unique chemical process that trees and plants use to turn light energy from the sun into oxygen is known as photosynthesis. "Photosynthesis" is a Greek word meaning "light" and "putting together." During this process, trees harness the sun's energy, using it to put carbon dioxide gas together with water to produce oxygen. The production of oxygen is a beneficial result of photosynthesis, but it is not the main purpose of this process. In fact, oxygen is simply a byproduct. Plants create their own food through photosynthesis. During this process, a plant's roots absorb water from the ground, and its leaves take in light energy and carbon dioxide. The plant uses these elements to make fats, proteins and starches that are then used to sustain the plant's life. During this process, extra oxygen is produced and released. The first step in photosynthesis is the harnessing of the sun's energy. 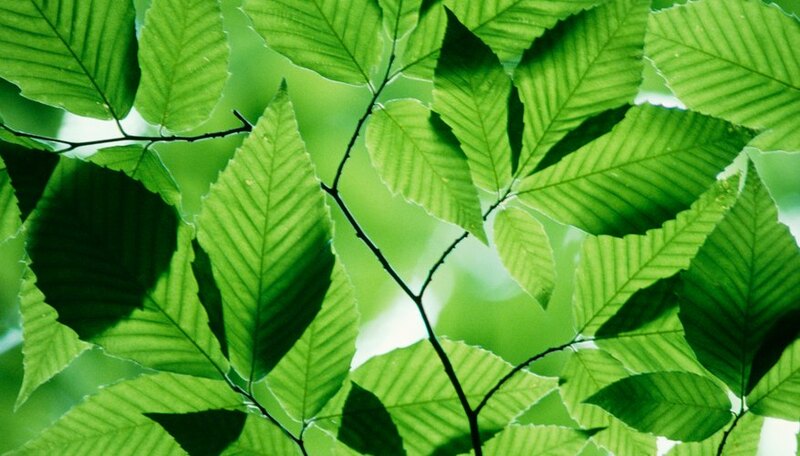 During this process, chlorophyll within the chloroplasts of plant and tree cells absorbs the light energy of the sun. Chlorophyll, a pigment, is also responsible for giving plants their green color. Chloroplasts act as collection centers in the plant cell, storing the sun's energy until it can be used. The harnessed energy from the sun then acts upon the water absorbed by the roots of the plant or tree by splitting the hydrogen from the oxygen inside a water molecule. Carbon dioxide exhaled into the atmosphere by animals and humans is then absorbed by the plant's leaves and paired with the hydrogen to produce sugar. The sugar is turned into plant food, and the extra oxygen created during this process is released into the atmosphere. Because of deforestation and urban sprawl, the trees that convert carbon dioxide into oxygen for all living things are disappearing rapidly. Today, only about 30 percent of Earth's land mass is covered in trees. Each year, forests the size of Panama disappear. At the current rate, the world's rain forests will disappear within 100 years. Environmentalists are concerned that the rapid rate of deforestation is contributing to global warming since trees are necessary to consume the carbon dioxide in the atmosphere, and excess carbon dioxide is blamed for global warming. Geologists believe replanting trees is a top priority in order to ensure the preservation of the delicate balance that enables photosynthesis. Real Trees 4 Kids: Let's Eat! Why Are Green Plants Important to the Environment? Watters, Bethenny. "How Do Trees Turn Carbon Dioxide into Oxygen?" Sciencing, https://sciencing.com/trees-turn-carbon-dioxide-oxygen-10034022.html. 05 April 2018.